It's time to look ahead to 2015... To understand which players are going to step up, and which ones are going to regress. 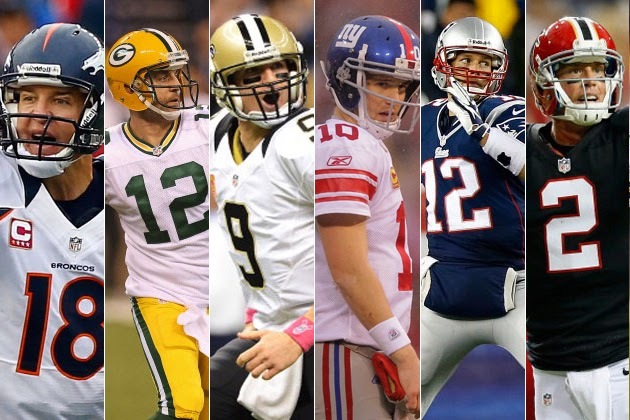 Below is an early rankings of the 2015, top 25 fantasy football quarterbacks. As you can see, Luck, Rodgers, and Brees remain on top of the QB ranks, while guys like Russell Wilson and Matt Ryan continue to move up from years passed. guys like Peyton Manning, Cam Newton, Matt Stafford and RGIII have regressed from previous rankings. In 2015, we expect the 2014 rookies to start impacting the fantasy world, with Bridgewater and Bortles moving into the top 20. Obviously, there are many months ahead before FF 2015, but it's never to early to plan.